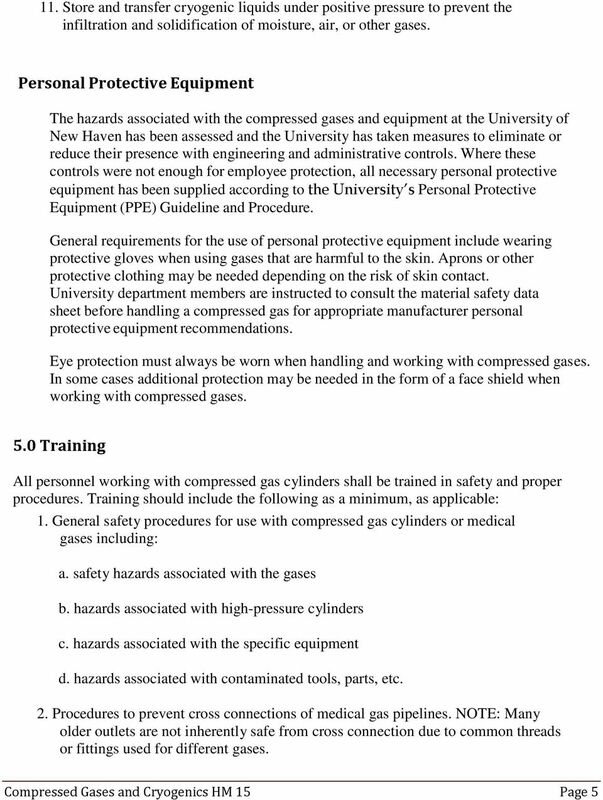 Download "University of Tennessee Safety Guidelines"
COMPRESSED GASES. 1.2 The contents of each cylinder and container must be clearly identified (by tag or stamp) on the cylinder. 4. All cylinders shall be tested, inspected and filled in accordance with International standards. Certain specific properties of compressed gases make them highly useful in various research activities. 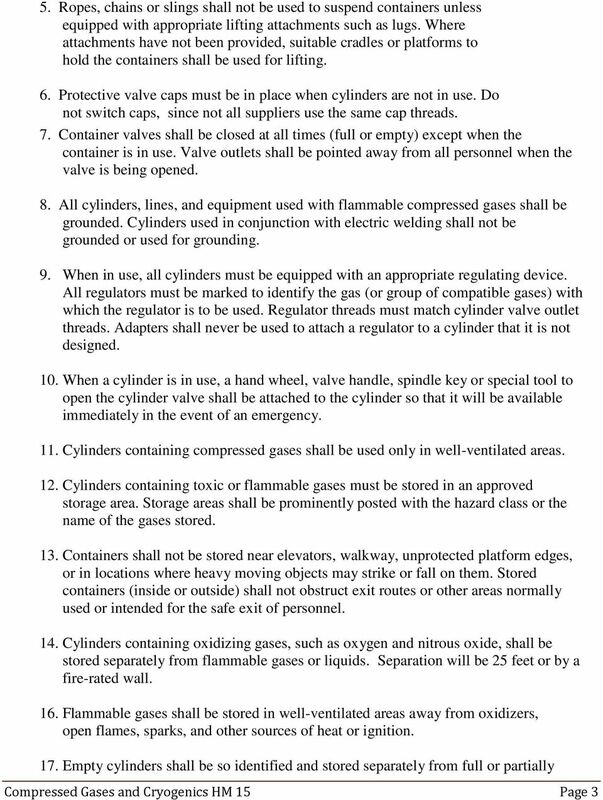 GAS CYLINDER SAFETY. 2. GRADES OF GASES BOC have divided the gases that they supply into 3 grades. 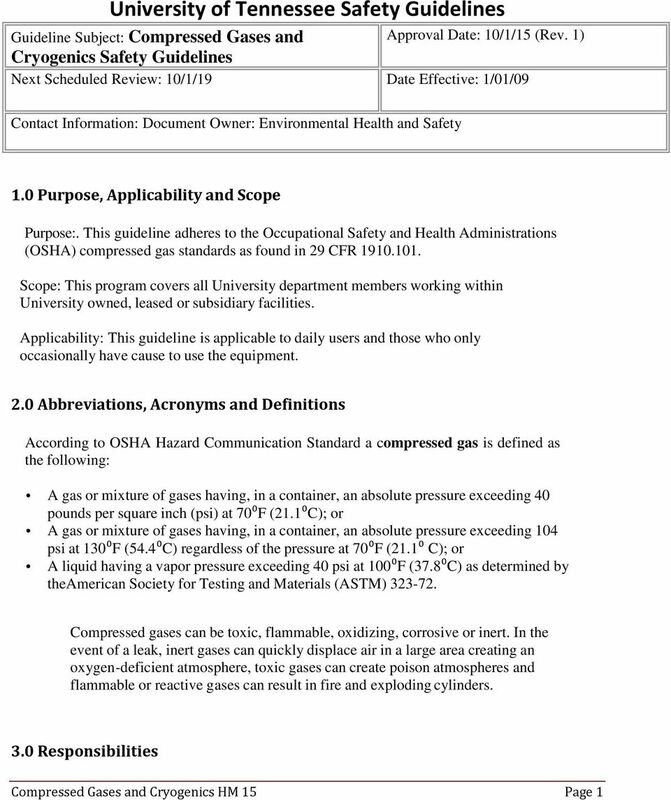 CHAPTER 37 HIGHLY TOXIC AND TOXIC MATERIALS SECTION FC 3701 GENERAL 3701.1 Scope. 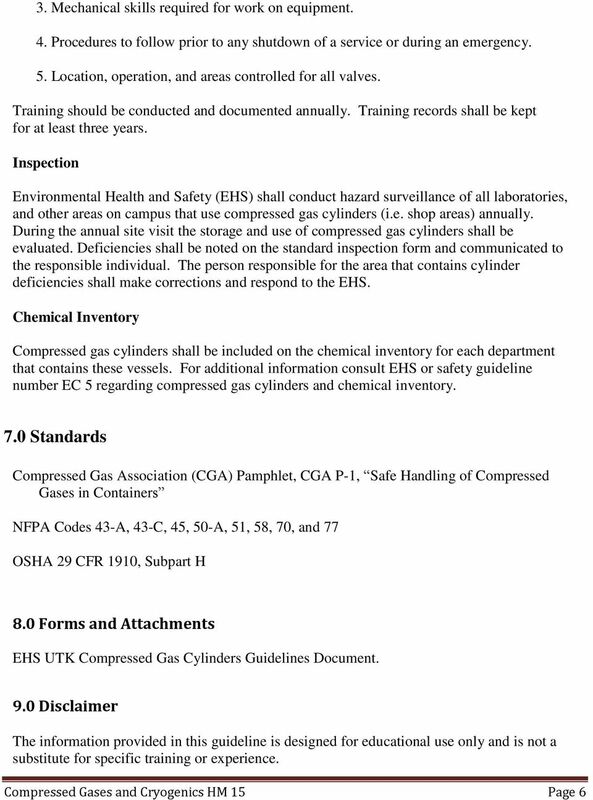 This chapter shall govern the storage, handling and use of highly toxic and toxic materials and ozone gas generators. 1. Question 1 a) Dangerously Reactive Materials b) Corrosive Materials c) Flammable / Combustible Materials d) Oxidizing Materials Question 2 WHMIS "hazard symbols" are easily identifiable due to their shape. 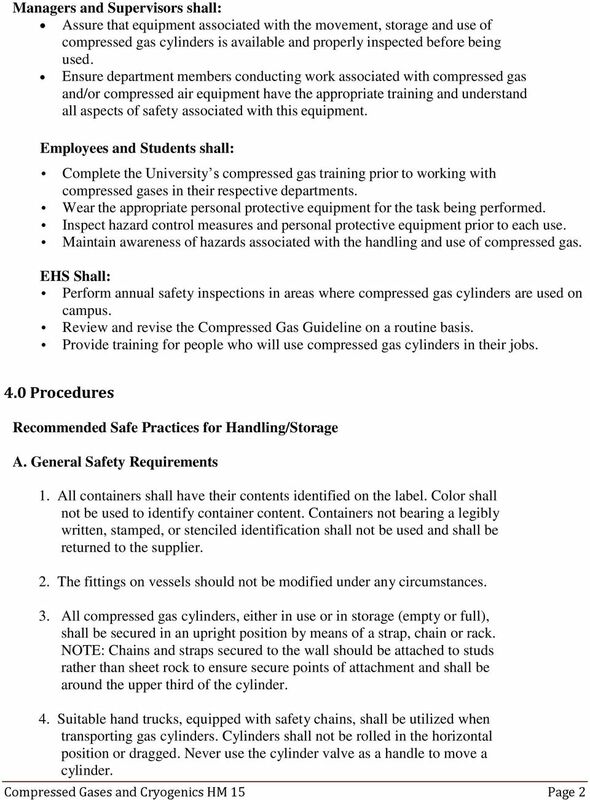 R290 PROPANE Safety Data Sheet 1. 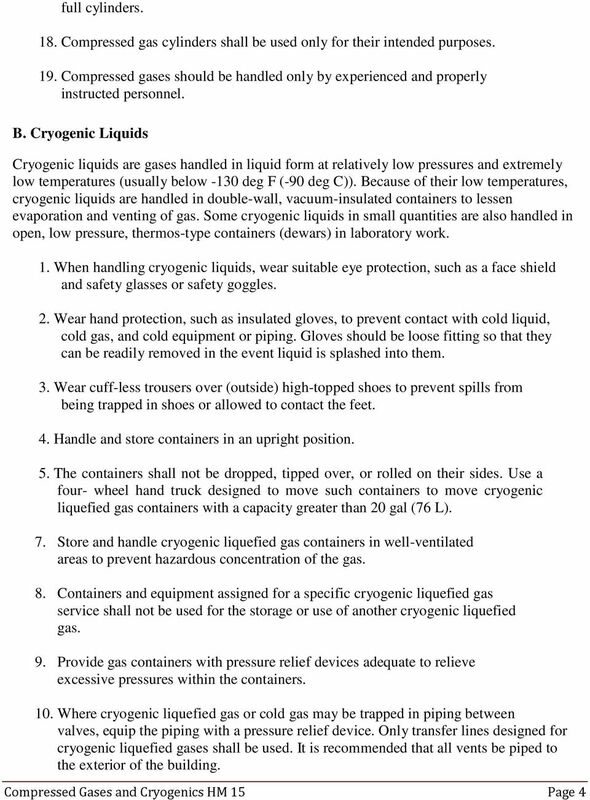 CHEMICAL PRODUCT AND COMPANY IDENTIFICATION PRODUCT NAME: OTHER NAME: USE: DISTRIBUTOR: PROPANE Liquefied Petroleum Gas (LPG) Refrigerant Gas National Refrigerants, Inc. Revision No. : 0 Page 1 of 7 I. PURPOSE The purpose of this procedure is to establish minimum standards for safely conducting hot work tasks to help mitigate hazards that could occur during hot work operations.